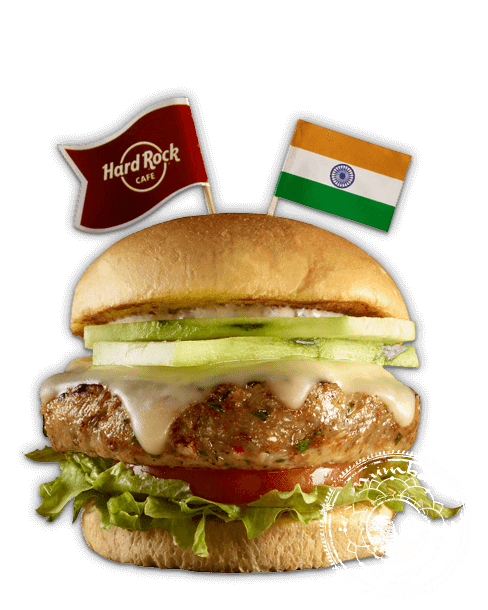 Travel Around The World with The World Burger Tour at Hard Rock Cafe! 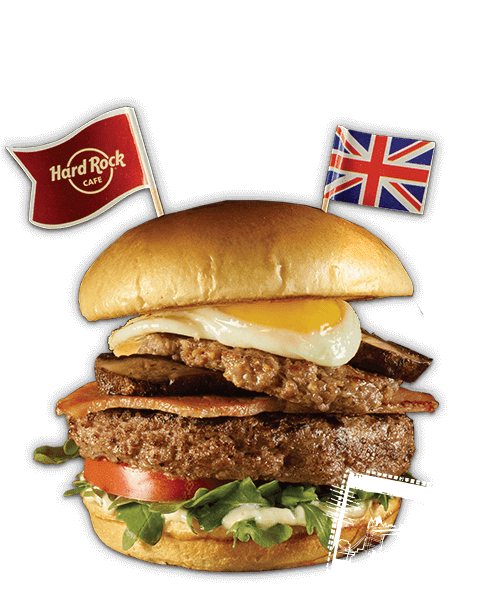 Thanks to Hard Rock Cafe for sending over a gift card so I can enjoy the delicious items on the World Burger Tour, regardless all opinions expressed below are completely my own. 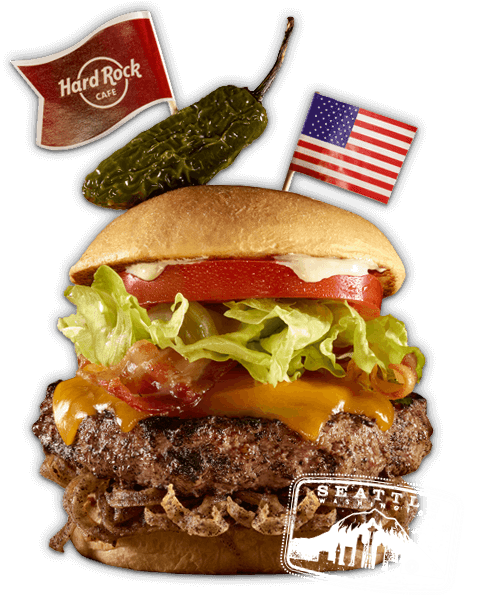 Well, let's face it; while I'm expecting my first baby in the coming months, traveling around the world isn't really an option anymore... unless we're talking about Hard Rock Cafe and this year's World Burger Tour! I'm so excited to have been invited to "travel" with Hard Rock Cafe and look forward to sharing my experience in a few weeks! What do I mean by traveling with Hard Rock Cafe? 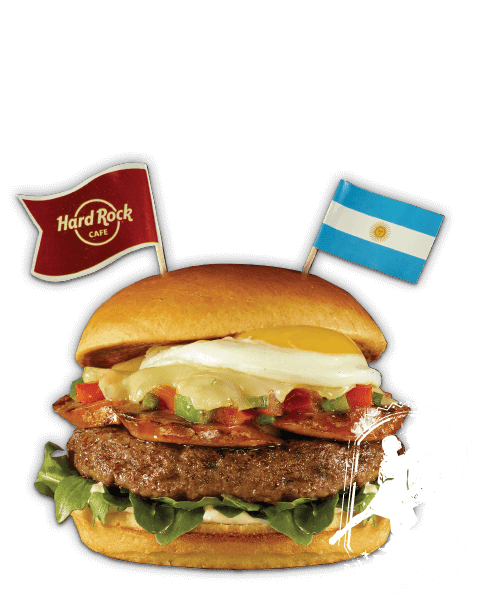 All Hard Rock Cafe locations in North America are celebrating the warm weather and showcasing a menu with legendary "local" burgers from around the world! This limited time tour is available now through June 30th and I'm overjoyed that I'll soon be visiting the Tampa location to try out a couple of these delights! An English Breakfast Burger from London, England which entails a Certified Angus Beef® patty topped with sliced ham, a sausage patty, a fried egg, a portobello mushroom, arugula and garlic aioli and served with a side of baked beans. A delicious sounding concoction entitled the "Java Lava Burger" originating from Seattle which includes a Certified Angus Beef patty grilled and dressed in a house-made espresso rub and topped with lava sauce, crunchy java onions, bacon, melted Cheddar cheese and garnished with a fried jalapeño! Next on the menu is a Tandoori Chicken Burger from Mumbai, India! This delicious dish is perfect for those that aren't into "beef" or those that are trying to watch their figure, it is made up of a dark meat chicken patty seasoned with aromatic spices and fresh herbs, topped with mint mayonnaise and served with a side of cucumber. 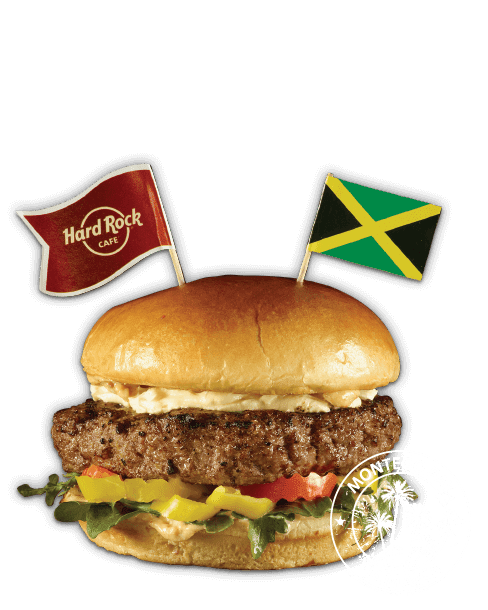 One burger that really caught my eye is the Jamaican Jerk Burger from Montego Bay, Jamaica. It's made with a Certified Angus Beef patty topped with banana pepper rings, mango jalapeño cream cheese and jerk mayonnaise! Another burger that's pretty high on my list is the ATOMIC! Burger straight from Las Vegas! This bomb-diggity burger is made with a Certified Angus Beef patty topped with Atomic beer-battered peppers, pepper jack cheese, caramelized onions, sautéed mushrooms, garlic chipotle ketchup and chipotle mayonnaise! The next burger on the list is one that I think my hubs will want to enjoy, the Tango Salsa Burger from Buenos Aires, Argentina is made with a Certified Angus Beef patty topped with andouille sausage, Monterey Jack cheese, chips de batata, a fried egg, salsa criolla and garlic aioli! I've always dreamed of visiting Greece so when I saw the Greek Burger from Athens, Greece made the list, I knew it was going to be one that I want to try as well! This beauty is made with a Certified Angus Beef patty topped with arugula, feta cheese and a tomato slice! Simple but I bet it's absolutely delicious. I've always been a pretty big fan of Hawaiian food so when I saw this last burger from Honolulu on the list, I realized it's going to be hard to make a decision on which burger I should try first! 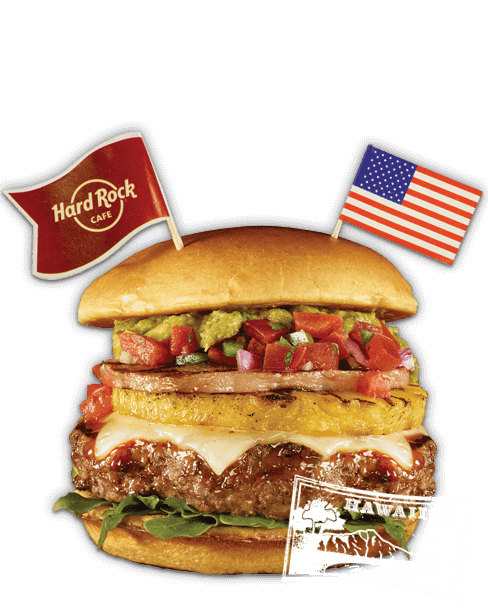 The Aloha Burger sounds like an interesting concoction with a Certified Angus Beef patty topped with SPAM, Monterey Jack cheese, a grilled pineapple ring with sweet soy glaze, guacamole and pico de gallo! While the burgers are the star of the World Burger Tour, Hard Rock Cafe knows that folks like a nice drink to wash down the delicious food so they also created cocktails that perfectly complement the offerings listed above. 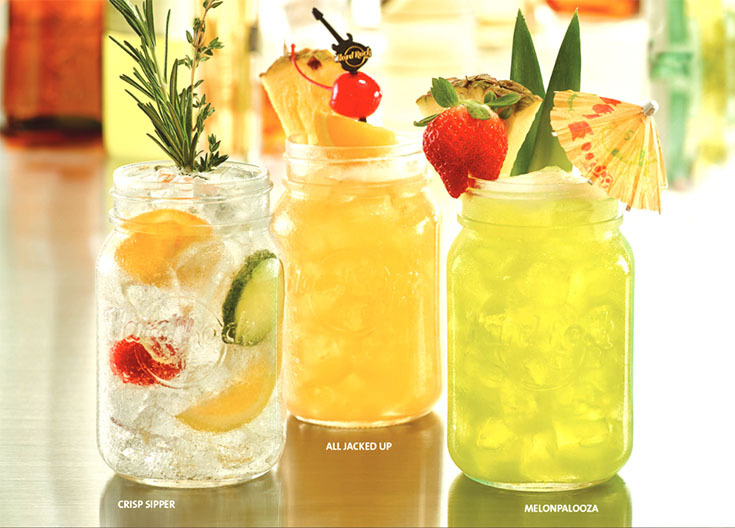 Served in iconic mason jars, adult guests can indulge in a new favorite beverage expertly paired with their meal or they can mix it up and try a fun flavor combination! While I won't be participating in the cocktails, the Black Cherry Melonade is non-alcoholic so I can order one of those with the Java Lava Burger and I'll live vicariously through my hubby if he decides he wants to try a MelonPalooza with a Greek Burger or a Crisp Sipper with a Aloha Burger! 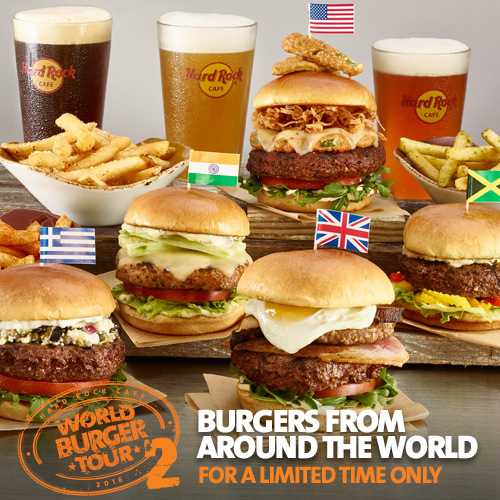 Plus, if you're up for the adventure, Hard Rock is actually offering a literal World Burger Tour as well. 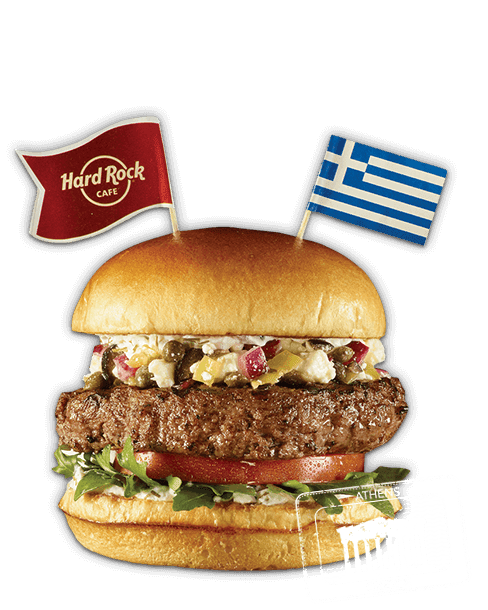 This awesome travel package sounds amazing, with adventures that will take a true burger enthusiast on the road (and in the skies) to sample burgers and other delicious foods at Hard Rock Cafe locations in London, Athens, Buenos Aires, and Seattle! This 10-night trip includes flights, first class hotel accomodations, ground transportation, and exclusive dining and music experiences at the one & only Hard Rock Cafe locations in each city, that typically aren't open to the public! 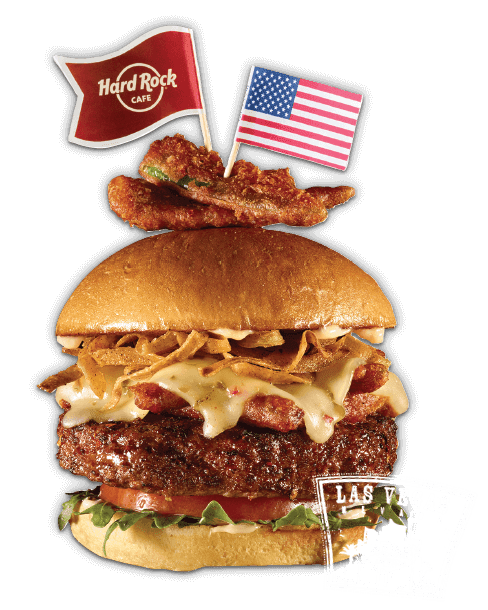 So tell me, will you literally be traveling around the world with Hard Rock Cafe or are you looking forward to trying a delicious new burger on their menu? If you're going to be heading out to a Hard Rock Cafe soon, let me know which burger you want to try first in the comments below!